a road that led him to become one of the wealthiest men in Hawaii. Robert's poor dad struggled financially all his life, and these two dadsthese very different points of view of money, investing, and employmentshaped Robert's thinking about money. Log In to track Robert T. Kiyosaki on eReaderIQ. 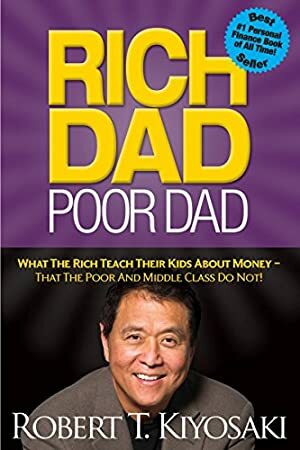 to be notified each time the price drops on any book by Robert T. Kiyosaki. to stop tracking Robert T. Kiyosaki. We started tracking this book on May 8, 2016. The price of this book has changed 68 times in the past 1,076 days. The current price of this book is £5.69 last checked 53 minutes ago. The lowest price to date was £2.84 last reached on February 5, 2019. The highest price to date was £7.19 last reached on February 8, 2017. We last verified the price of this book about 53 minutes ago. At that time, the price was £5.69. This price is subject to change. The price displayed on the Amazon.co.uk website at the time of purchase is the price you will pay for this book. Please confirm the price before making any purchases.